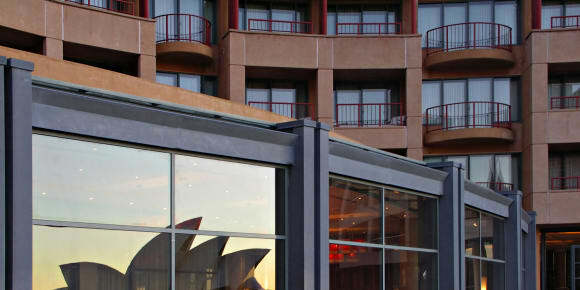 Hyatt Hotels Australia | Ruckus Wireless Inc.
Hyatt Hotels Australia had the mission to replace its old Wi-Fi network with a new one, which would provide its staff and 571,000 guests per year with reliable and consistent Wi-Fi access across its portfolio of five hotels in Australia: Park Hyatt Sydney; Park Hyatt Melbourne; Grand Hyatt Melbourne; Park Hyatt Canberra; and Hyatt Regency Perth. Comprehensive Wi-Fi coverage was one of the major challenges facing Hyatt. As with many hotels, the RF environment can often be challenging due to design and decor. Providing consistent Wi-Fi coverage to every room, corridor and public space can often be challenging. For example, metal decorative fixtures in bathrooms and lobbies can disrupt signal strength and create Wi-Fi black spots. Hyatt began evaluating other Wi-Fi products to replace its current network. In addition to increasing Wi-Fi coverage across its hotels, Hyatt required a solution that was aesthetically pleasing as well as being quick and easy to deploy to minimise cost and disruption to the business.